Logitech has this week launched a new smaller Logitech Create KeyPad which has been specifically designed for the smaller 9.7 inch Apple iPad Pro tablet and joins the larger version of the Logitech Create which was made available last year for the 12.9 inch iPad Pro. 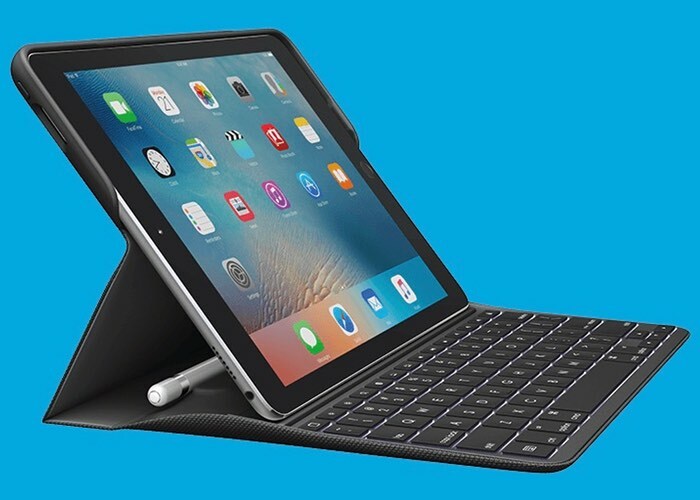 The new Logitech Create KeyPad case is fitted with a backlit keyboard and a handy Apple Pencil holder as well as a Smart Connector specifically located for the smaller iPad Pro 9.7 inch tablet and internal battery. CREATE iPad Pro keyboard case is the ultimate creativity and productivity toolkit. It holds everything together – your iPad Pro, Apple Pencil and a keyboard – in one snug package, so all your tools are in one place whenever you need them. Edge-to-edge layout of well-spaced keys ensures familiar laptop-like typing. Mechanical scissor keys are tuned for productivity with 1.4 mm key travel – an optimal depth for comfortable and responsive typing. A full row of iOS shortcut keys put iPad Pro controls at your fingertips – change volume, language and more – all without leaving the keyboard. CREATE comes with the new generation of connectivity – Apple Smart Connector. This means you never need to charge your keyboard, it will source power directly from your iPad Pro. No more charging cables or worrying about battery life. Smart Connector also means that Bluetooth® pairing is a thing of the past. Just set iPad into a typing position – as soon as the two points of the Smart Connector touch – you are ready to type. CREATE keyboard case has backlit keys with adjustable light levels. Choose from several backlight levels to get exactly the intensity of light you need. To manage the power smartly, CREATE can detect activity – 8 seconds after the last keyboard stroke, the keyboard will go into sleep mode, turning the backlighting off to save the iPad Pro battery. To purchase a new Create KeyPad jump over to the official Logitech website via the link below.